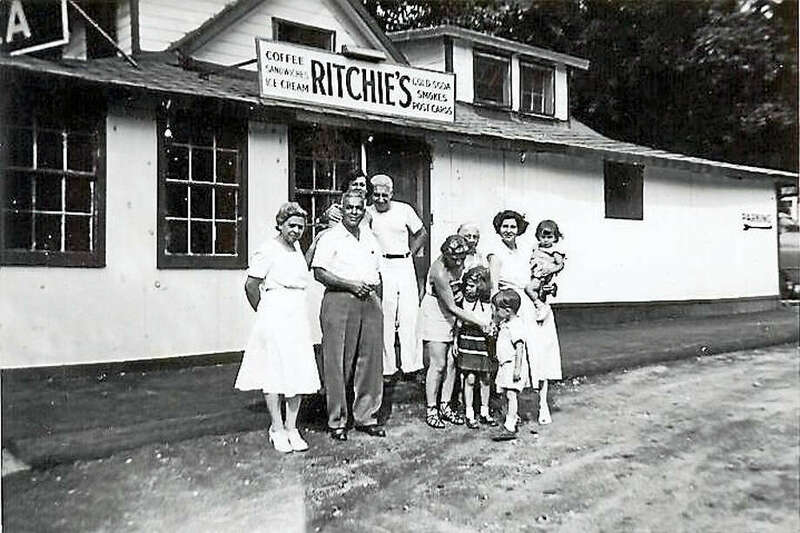 The photo is the Cavallaro Family at “Ritchie’s”, New Preston, CT, circa 1950, photograph courtesy of Linda Ajello. The Brookfield shop will be the first Rich Farm Ice Cream franchise to open in Connecticut. Dave and Dawn Rich opened the original Rich Farm Ice Cream in Oxford on July 3, 1994, and the business has become an institution, drawing customers from miles around. Another location opened in Placentia, Calif., two years ago and it was named that city’s New Business of the Year for 2016. Dave Rich said he does not have a number in mind for how many franchises he would like to open, but said he is more interested in having stores out of state. He may allow for one more in Connecticut, he said, but not near Oxford or Brookfield. The farm in Oxford has been named a Dairy Farm of Distinction for “beauty and high milk quality” from the Connecticut Department of Agriculture. DePaolis got his final inspections this week and is eagerly anticipating Monday’s opening. DePaolis worked in corporate America for 16 years before his position was eliminated. He wanted to get out of that world and he and his wife Lisa sought out other opportunities. Rich Farm specializes in homemade hard ice cream with nearly 100 flavors, including 30 standard varieties and dozens of seasonal and rotating flavors. DePaolis said all of the ice cream will be made on site in Brookfield, not transported from Oxford. He said the shop will eventually offer soft serve, frozen yogurt, Italian ice and cakes. The flavors of the day will be displayed on a chalkboard behind the counter. The store will have seating for about 20 people with room to add more tables and chairs if necessary, DePaolis said. DePaolis hired 11 part-time employees to get the business running. Rich Farm Ice Cream will be open from noon to 9 p.m., seven days a week. In addition to Subway and Rich Farm Ice Cream, Brookfield Village will also include an Italian restaurant, nail salon and clothing boutique. Phase II will include a patio and courtyard, in addition to two more buildings with residential and retail space.